For friends who want to attend Pasture, Seasonal Gathering but live out-of-town/state, Pasture Weekened Retreat is a rolled-into-one experience. Enjoy a beautiful weekend with a maximum of 12 like-minded women as we gather to listen, share, confess, and celebrate together over nibbles + wine + music + meals + soul care practices. Are you craving deep connection and soul nourishment with an intimate group of like-minded women? Are you desiring a safe space to share vulnerably and to listen to God, ourselves, and one another in the context of Psalm 23? Are you a fan of delicious nibbles, wine, faith conversations, and the beauty of coming as you are to be fully known and fully loved? If you're emphatically agreeing, Pasture Weekend Retreat is for you. 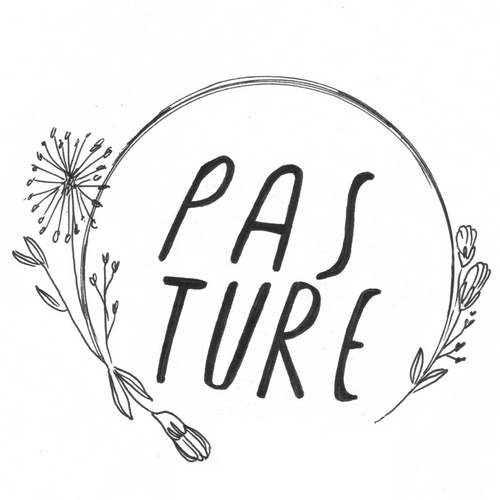 Pasture Retreat includes a safe space to be your true self + an indepth journey through Psalm 23 + thoughtfully prepared meals from our kitchen + a reflection journal + the experience of deep connection + soul nourishment + new friends. Come as you are, in the season you are. Your presence is more than welcome here. Get settled in your hotel. Arrive at 6pm for connection + wine + cheese + a home concert. Saturday morning begins at 9:00am with coffee + light pastries. We'll spend the morning simmering in Psalm 23, listening, sharing individual stories, and exploring our unique Pasture journey by noticing how God is inviting us into deeper relationship with Him and others. A delicious lunch will be provided (please let me know of any food allergies) followed by a confession experience. Enjoy a couple afternoon hours on your own for rest and reflection. Relax on the decadent grass lawn at Leiper's Fork, enjoy a local coffee spot, or tuck away at Duck River's Bookstore. When was the last time you carved out time for yourself? Soak it up. Gather back at 6:00pm for an intimate dinner around our kitchen table with a gourmet dinner made by my incredible husband, Bryan. Shoulder-to-shoulder conversation will invite reflections and communal celebrations. The evening closes with dessert + a Pasture blessing. Sunday invites an optional group brunch at a local hot spot before traveling home. Pasture Retreat is intentionally capped at the intimate size of 12 women to ensure deep connection and space for sharing, listening and being.